Trips to the dental office can be somewhat intimidating, especially if you aren’t familiar with all of the equipment that surrounds you as you wait patiently in the chair for your hygienist to arrive. Thankfully there’s very little to be afraid of, and in fact, much of the equipment you’ll find in the office is designed to make your visit easier, more comfortable, and more effective. If you have apprehensions about a visit to the dentist and those ominous looking tools aren’t helping, we’re here to clear the air and explain a little of what you can expect to see during your visit. You know what we’re talking about, and it’s likely the least intimidating device in the entire office. Sure, it has a tendency to grab hold of your cheek, your tongue, your tooth, but it doesn’t cause any harm and it’s essential to it being able to do its job. This device, as you probably know, is designed to make sure that saliva doesn’t get in the way of your dentist’s hard work. The Isolite is a wonderful little gadget that was designed to accomplish two tasks. The first is to prevent your dentist from having to speak the words “Please open your mouth a little wider” a dozen times during your visit, and the other was to make sure they could see what they’re doing while they’re in there. It performs both admirably by allowing you to relax your jaw without closing your mouth and holding a light that allows the dentist to perform their tasks with clear vision. We know, this device has got to be the most confusing of them all. Every time you see your dentist they tell you not to put anything metal into your mouth, and then they come along with this metal scraping tool and apply it to what feels like every square inch of your teeth. The difference, of course, is expertise and knowing how to apply it in a way that will remove tartar and plaque while otherwise preserving the integrity of your teeth. These little devices are used to check that your gums are healthy by looking for the presence of gum disease. There’s nothing to fear from this piece of equipment, the process may produce a little pressure but it isn’t going to cause you any pain. 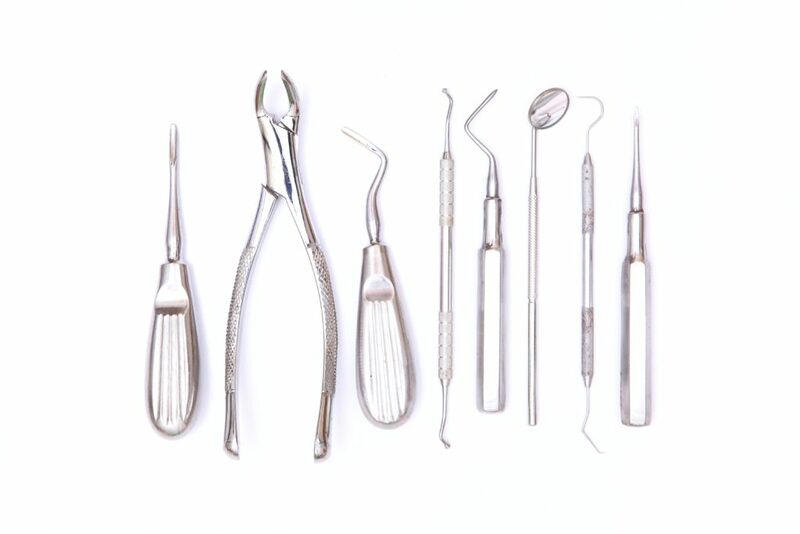 These are just a few of the items that you can find at a dental office, and they’re all there to make your life, and that of your dentist, just a little bit easier. If you’re looking for a dental office that’s dedicated to making your visit comfortable and effective through the use of modern equipment, give Dr. Duc Pham a call at Premier Dental of South Orange County. Their team of experts have been providing fantastic dental care for patients in the Aliso Viejo, CA area, and would love to make your family part of the Premier Dental family of patients.